Your 1st Choice Tampa Plumber! When it comes to getting the best Tampa plumbing services, our name says it all. At 1st Choice Plumbing Solutions we really are the top choice for all of your plumbing related service needs for both residential and commercial spaces. Whether the service you need from a professional Tampa plumber is a planned upgrade or unexpected emergency repair needs, we have got it taken care of. Part of being a home or business owner means taking care of maintenance and upkeep. And part of that is most certainly going to include the need to work with an expert plumber for a variety of specific tasks. Some of these are more cosmetic but some are necessary in order to keep your system functioning. The last thing you want is for your home routine to be thrown off because you don’t have hot water. You also don’t need to be losing business because the toilet in the bathroom is overflowing and you have to close down until the clog and mess are taken care of. So it is important to be able to trust in the expert you choose which is why you need to rely on 1st Choice Plumbing Solutions. Taking regular care of your plumbing is will help to ensure there are no surprises down the road. It enables a Tampa plumber to inspect the system and look for any potential threats. Troubleshooting and taking care of possible problems before they take hold is one of the best ways to prevent plumbing issues. Some of what we can take care of for preventative measures such as drain cleaning. Drain and sewer cleaning helps to ensure things keep running smoothly and that you do not end up with clogs, blockages and resulting flooding. Whatever you need taken care of to prevent future plumbing problems, contact the 1st Choice Plumbing Solutions team. 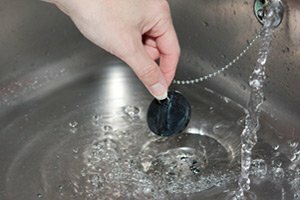 The most common call we get here is for Tampa plumbing repairs. Some of these are minor and some, not so much. We know how crucial it is to keep your plumbing in fully functional mode at all times. Which is why we are there for you in your time of need even for emergency repairs. We are available 24 hours a day for emergency service because we know you don’t get to schedule a more convenient time for your plumbing to act up. While other companies will leave you stranded, at 1st Choice Plumbing Solutions our main goal is to be there to help you – when you need it most. Another part of the work we do is taking care of planned projects meant to improve upon your current plumbing system through renovation services. We take care of jobs like remodel plumbing and fixture replacement. When an interior remodeling job requires the expertise of a Tampa plumber to move, repair or replace something you will need a trained and experienced professional on your side. It is also important to know you can rely on the company you select for important services related to Tampa commercial plumbing as well. The only way to keep your business up and running is by making sure everything is in order with your plumbing. From the services your customers use to those your employees need, we will work hard to keep or get everything in working order. 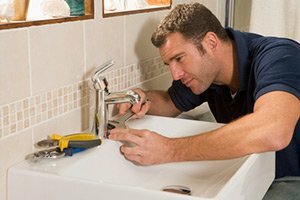 Why 1st Choice Plumbing Solutions? At 1st Choice Plumbing Solutions our goal is to extend only the best when it comes to services we offer for both our commercial and residential clients. Don’t take chances when it comes to who you trust for this important lifeline system of your company. Let our trustworthy and reliable crew of expertly trained, skilled and experienced Tampa plumbers handle the job for you. This is the best way to avoid dealing with any interruptions in your business. If you require the assistance of a professional Tampa plumber, then please call 813-643-7556 or complete our online request form.